The burbs rocked it this year for Philly Beer Week! No need to travel more than a few minutes from home if you wanted to participate in Philly Beer Week but not make the the trek into the city. Spoke with several participants who agreed. Heck, even Philly Beer Week sent out a post stating something similar. 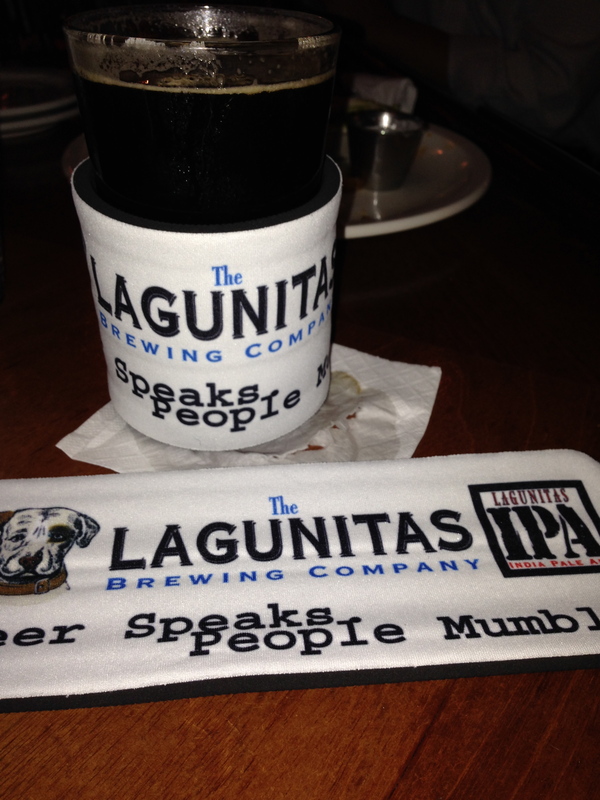 So one night after work my brother, nephew and I met up for a Philly Beer Week event at the Uno’s Hamilton featuring a tap takeover by Terrapin Beer Company and Lagunitas Brewing Company. I honestly don’t know how the staff of the various participating venues kept up with the ever changing taps during Philly Beer Week; it had to be overwhelming. Prior to arrival I took a few minutes to prepare for the evening and study the posted tap list; with my choice flight sample lists in hand I headed over. I arrived before the rest of the gang and took a seat at the bar. Where I had the distinct pleasure of meeting a fellow beer enthusiast, Jimmy and a wonderful beer conversation ensued. Thanks Jimmy! So good, a true favorite of this Gal’s. This is one of those beers that should not be served cold and improves as it warms up. As much as I love Sweet Baby Jesus this tops it with the perfect balance of chocolate to peanut butter. Maggies Farmhouse Ale – Terrapin 6% I need to come clean and state I do NOT like any thing flavored with peach except a peach itself. It’s truly one of things I loath but I do love Farmhouse Ales so went for it. Well, it was just a little to peachy for me. However, it did have a true Belgium quality to it. Holy breakfast stout! Right away you can taste the chicory and oats with hint of dark fruits. I also noted a underlying smokiness to it. This is the Liquid Bliss minus the peanut butter but with the bonus of raspberries. Yum! That’s right folks this Gal chose an Imperial IPA and indeed it was real hoppy. Not a favorite of this Gal’s but enjoyed it just the same. Then again I’m really starting to enjoy the refreshing citrus IPAs offer. Lately this Gal has been enjoying the rye beers. Well, black ryes that is. They just have the perfect combination of hops to malts and this was no exception. The color was a gorgeous black silk and a medium body that combined cocoa, roasted chicory & malts, dark fruits all rounded out by the rye. Very enjoyable. Loved the copper color of this ale and it’s low carbonation smoothness. There’s subtle hop notes in the background with roasted malts, raisins and brown sugar in the forefront. Oozy woozy bourbon beer. 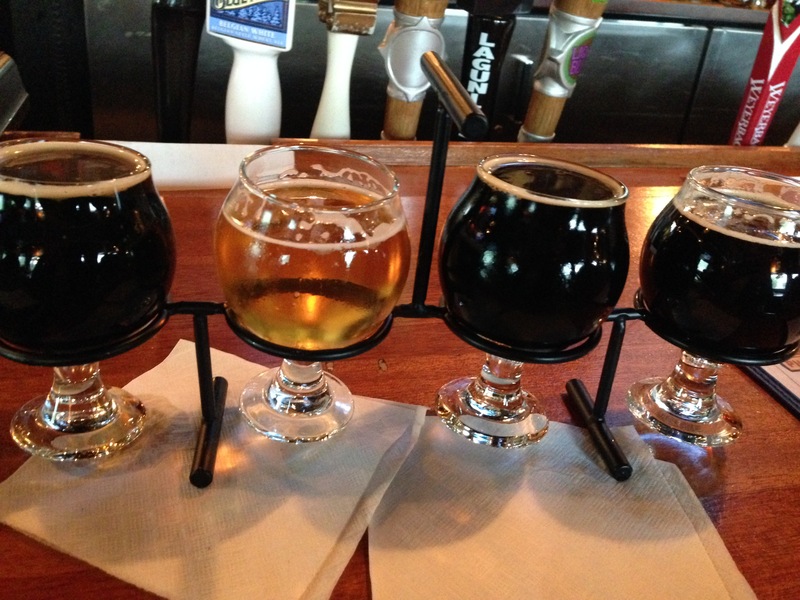 This beer is to be sipped, savored and enjoyed at room temperature from a snifter style glass. I was pretty floored when I saw it being poured as a full pint! Alrighty then. Bourbon, toffee, malts, chicory and vanilla combine to make a delightful boozy sipper. 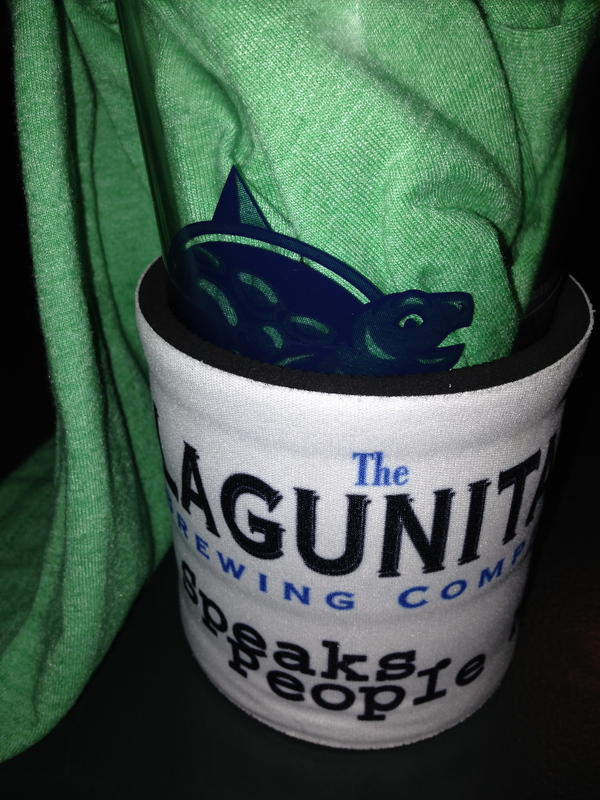 Not only was the beer selection amazing but the free swag was a plenty. A very successful Philly Beer Week event in the Burbs. 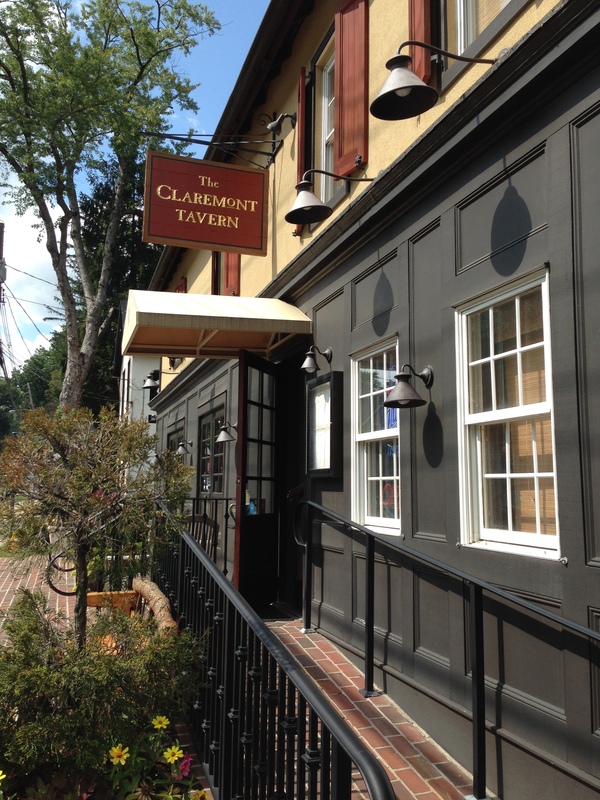 A special someone surprised me with a afternoon drive and a pit stop at The Claremont Tavern in Bernardsville, NJ. It was pretty drive and the little town the Tavern is located in is down right cute. It’s plopped in the middle of a residential area and has the old tavern coziness to it with smaller rooms and lots of dark wood. To be able to walk across the street for a beer on snowy evening would make for a wonderful winter night. The Claremont Tavern isn’t a beer destination but if you’re up that way it’s worth stopping in for a bite and a beer. It offers a nice tap list although a bit small with only seven craft beers on tap. I could see it expanding over time and there is talk about them hosting some beer dinners in the future.I decided to go for a 4 pour taster round. 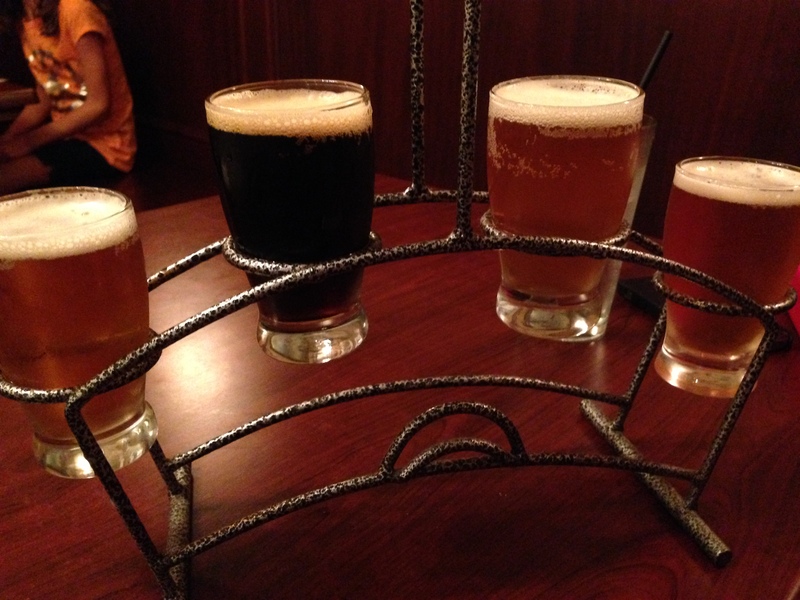 I was a little disappointed to find that out of the seven craft beers offered all but one was either an IPA or Pale Ale. A bit more diversity in styles would have been welcomed. 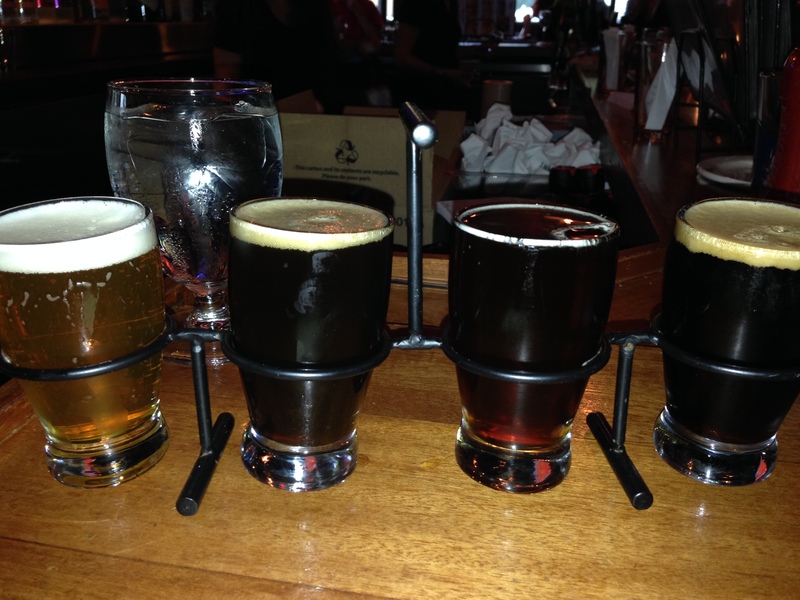 (there are 5 other beers on tap as well but not crafts) That being said there were definitely going to be some hops in the taster round along with one of my favorite porters – Great Lakes Edmund Fitzgerald Porter. 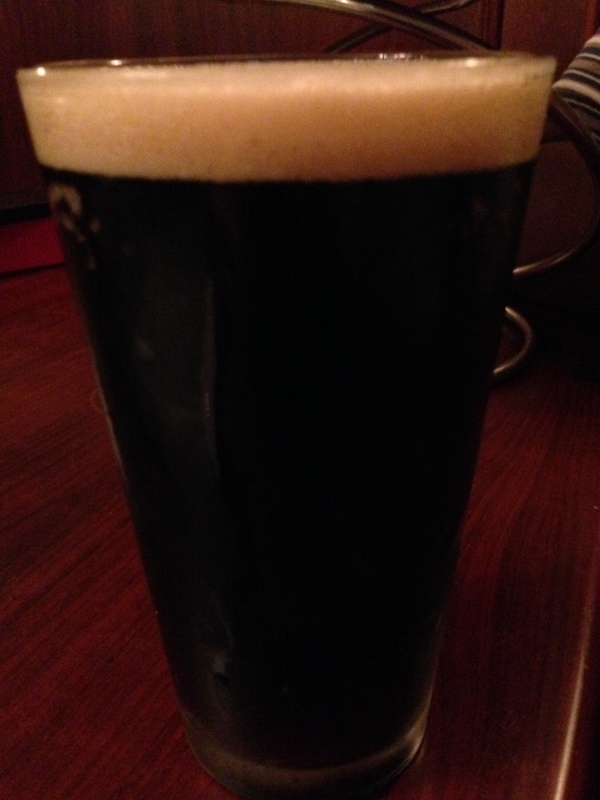 The waiter tried to discourage me from ordering the porter – stating it was a dessert beer since it had a coffee taste to it. I assured him I was fine with it accompanying my meal. To go with the beer I ordered the Veggie and Hummus Club Sandwich which consisted of fresh summer veggies paired with roasted pepper hummus – delish and enjoyable. My companion went with the personal pizza. The menu is diverse, reasonably priced and the portions large enough that we got both had lunch and dinner out of our selections. Pretty hoppy so much so really couldn’t taste anything else going on with the beer except the hops. Not doing it for this Gal. A rich black body with a tan head. Wonderful aromas rise up from this porter and the taste doesn’t disappoint. Roasted malt with a very slight burnt/smokiness to it that compliments the roasted coffee and nuttiness that leads to a bittersweet finish. Went back for seconds and ordered a full pint of this gem. I found this IPA enjoyable and not overly hoppy with a mix of grapefruit, pine and undertones of malts that finished very smooth. I wouldn’t hesitate to order a pint of this IPA. Fruit, malt and hops contribute to this being a well done medium body, easy drinking beer. 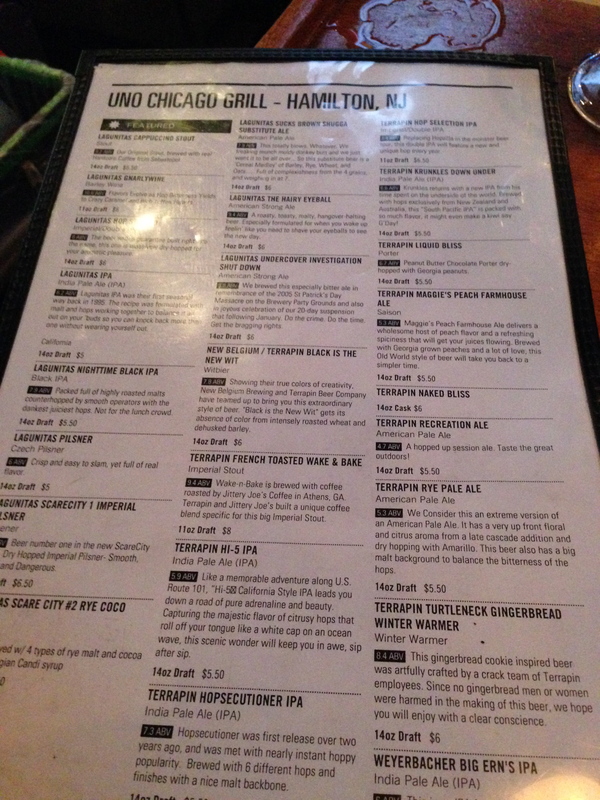 Terrapin is working it’s way of my list of favorite breweries – they really just do it right.